For some expensive gadgets such as iPad, we should make fullest use of them. 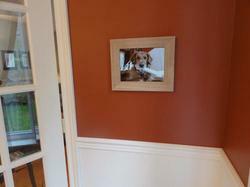 What do you think of turning your iPad into temporary digital photo frame? Try out iPad Frame Dock. 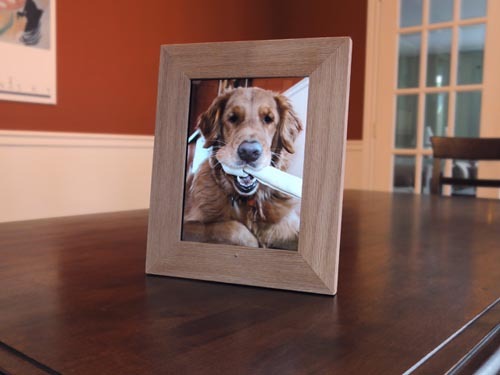 The multi purpose iPad dock is made out of Oak wood for a stable and elegant look, comes with a mat inner frame, and measures 11.5 x 9.5 x 0.75 inches. 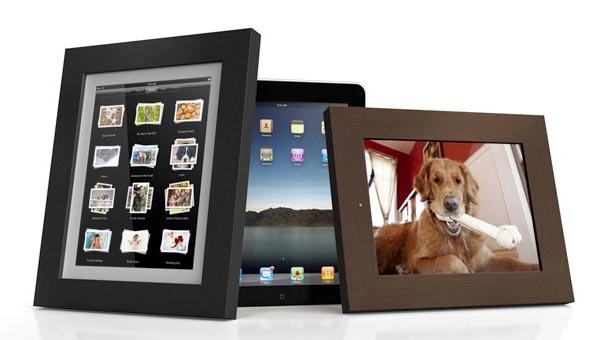 Just slide your iPad into the dock, the iPad will turn into an innovative and stylish digital photo frame. And the stand placed at the back can allow you viewing it in both of landscape and portrait modes. Obviously the iPad dock is also a nice iPad stand. Additionally, you can also sync and charge your iPad without removing the iPad frame dock. 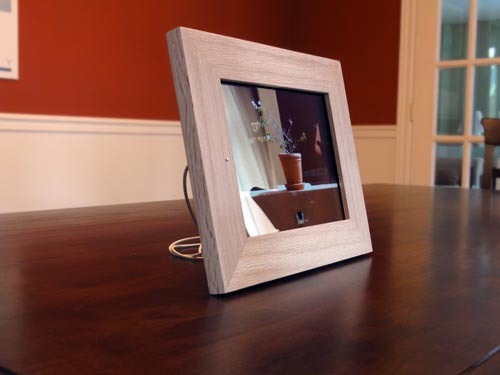 The iPad frame dock is available in three colors, including brown, black, and natural. 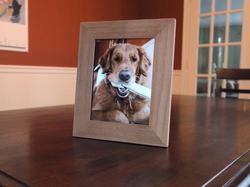 Each one costs $49.95 USD. If you’re interested, jump to the official site for more details. After the break, check out the video preview. Additionally, also don’t miss other nice options via following tags.